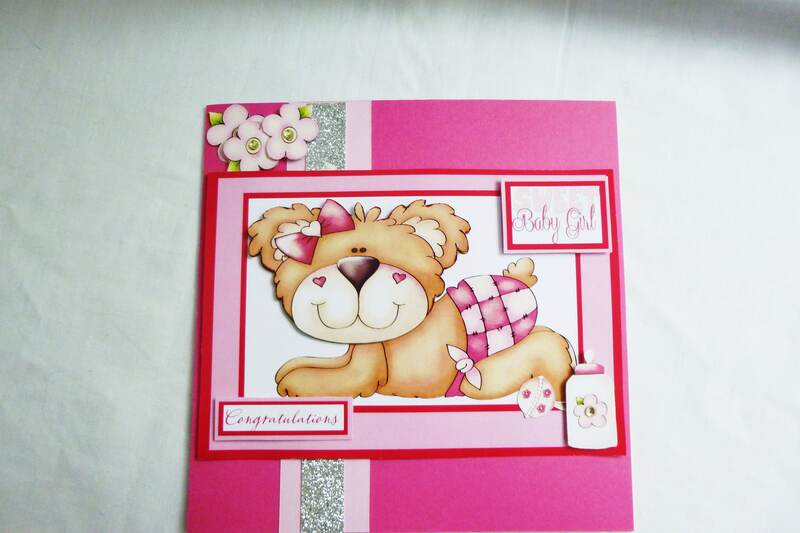 A baby girl card made from white base card, layered with dark pink card, with light pink strip down the left hand side with a silver glitter strip on top of the pink strip, in the top left hand corner are 3 flowers with yellow crystal embellishments in the centre of the flowers. 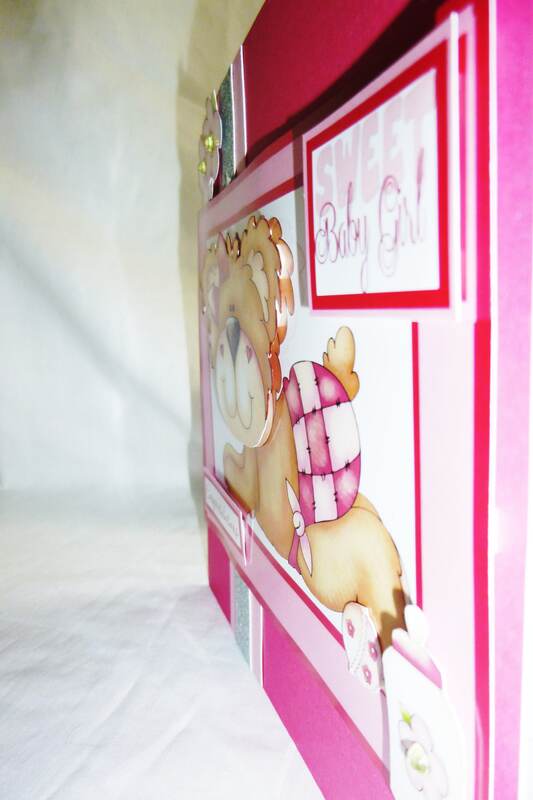 In the centre of the card is a large topper which has 3 layers of dark pin and light pink card with the large 3 D decoupage topper in the centre of a bear with a pink nappy (diper) on and a pink bow in its ear. In the top right hand corner there is a sentiment which says,'Sweet Baby Girl' and in the bottom corner another sentiment which says,'Congratulations'. In the bottom right corner is a bottle and a rattle. Inside the card is plain white insert paper for you to write your own personal message. 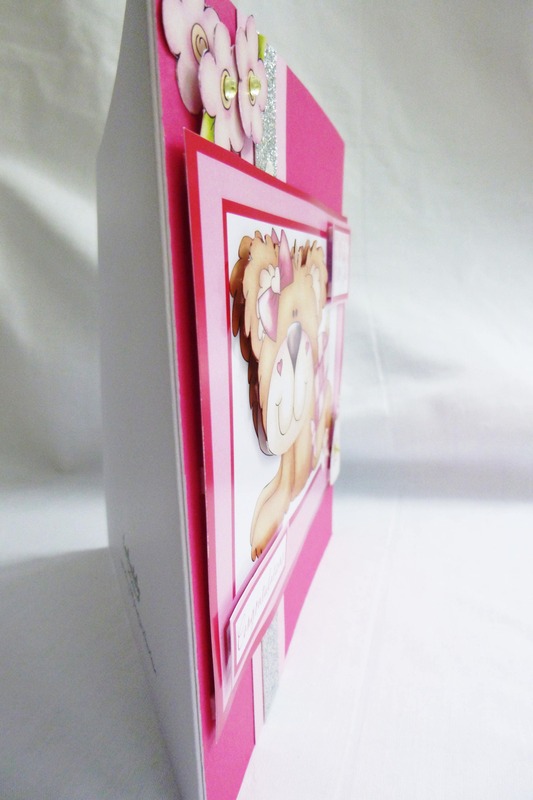 The card measure 7 inch x 7 inch, 18 cm x 18 cm, includes a white envelope.